Last month, we were fortunate enough to host the three founders of Alliance – Romero “Jacare” Cavalcanti, Fabio “the General” Gurgel, and Alexandre “Gigi” Paiva – at our headquarters for a Legends Seminar. Romero Cavalcanti is the last of only six people to receive their black belt from Rolls Gracie. He began training at the age of 12 and earned his black belt in 1982. Many years after the tragic death of his instructor and mentor, Rolls Gracie, Cavalcanti opened up his own school, Jacare Jiu Jitsu. Despite his initial dislike of his nickname, he decided to use the moniker for the Academy and it has stuck with him ever since. It was during those years running Jacare Jiu Jitsu that Cavalcanti came to know and instruct both Fabio Gurgel and Alexandre Paiva. They were each teaching at different clubs when, in 1992-93, they decided to come together and form the Alliance Jiu Jitsu Association. They have spent over 30 years training and working together and it is due to this allegiance and bond that they have made Alliance the most successful Brazilian Jiu Jitsu associations in the history of the sport; having achieved the World Championship title a total of 11 times and created some of the most accomplished and well-known athletes within the sport, including Fernando “Terere” Augusto, our own Rubens “Cobrinha” Maciel, Marcelo “Marcelinho” Garcia, Tarsis Humphreys, Lucas Lepri, current MMA fighters Demian Maia and Gabi Garcia, among numerous others. 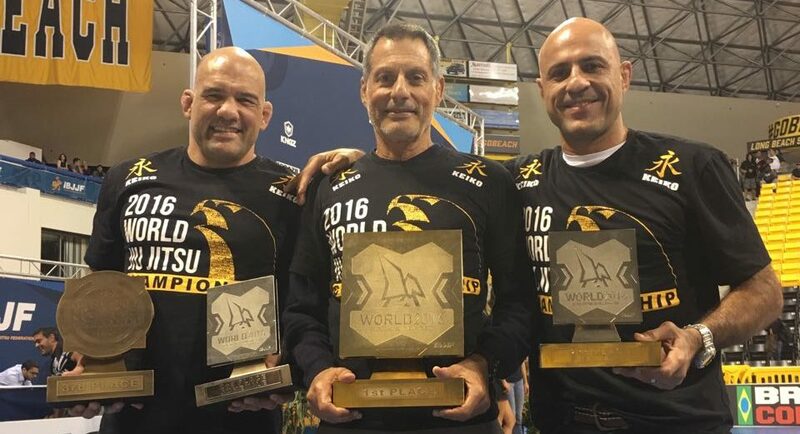 Below watch an interview with these three living legends of our sport as they discuss everything from the controversy surrounding the nickname “Jacare” to the importance of self-defense in training. Newer PostExclusive Access to Brazilian Jiu Jitsu for Kids!